Saturday was even busier than Friday at Pheasant Fest 2012! There were A LOT more dogs and even more people! We even spent some time talking to the man, the legend Delmar Smith! More photos are streaming in as I write this so don't forget to check back frequently as we continue to add photos from the weekend! ... Friday is a wrap at Pheasant Fest 2012 and we had a … [Read more...] about Pheasant Fest 2012 Photo Stream! 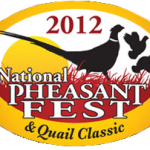 Pheasants Forever's annual Pheasant Fest & Quail Classic 2012 kicks off tomorrow afternoon with the bird dog parade! Bird Dog Life is on our way to cover the parade and to visit some of the foremost personalities in the dog training world such as Delmar Smith and his son Rick as well as his cousin Ronnie. Below is more information we've gathered to help you find your … [Read more...] about Kansas City Bound! That's right... BirdDogLife has moved to a new server in a new data center! We're mostly back online now but please pardon our dust as we work on adding thumbnails to posts that didn't previously have them and while we clean up some other small bugs. At any rate: Please have a look around and let us know how you like the new look and feel! … [Read more...] about We’ve moved!